I love my girls. They are awesome. However sometimes it’s seems like all we have are issues on homework, chores, food, playtime. You name it, there is going to be drama! 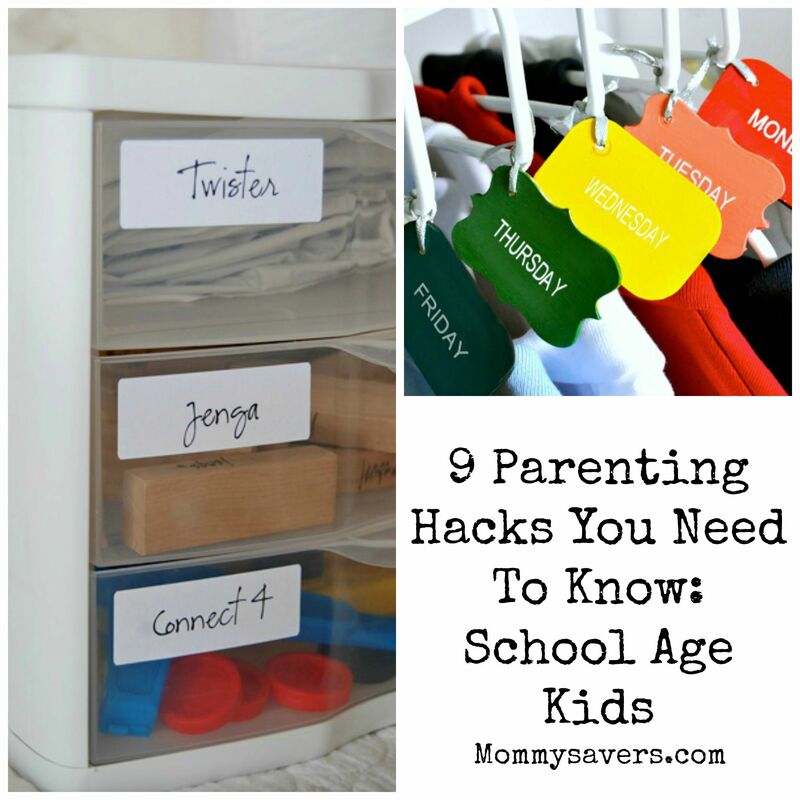 Here are some parenting hacks for school age kids and tweens that might just make all of our lives a bit easier! 1. WiFi password incentives. I don’t know who came up with this but I’m so using it! 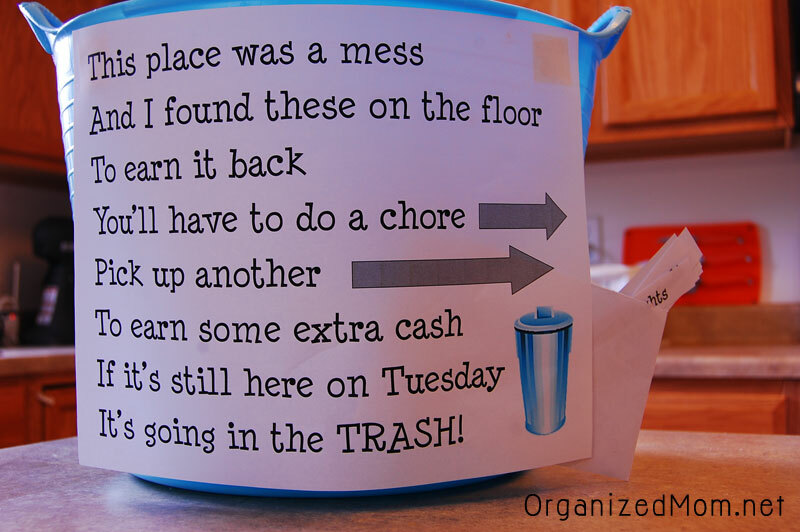 No more chore or homework struggles after school! 2. 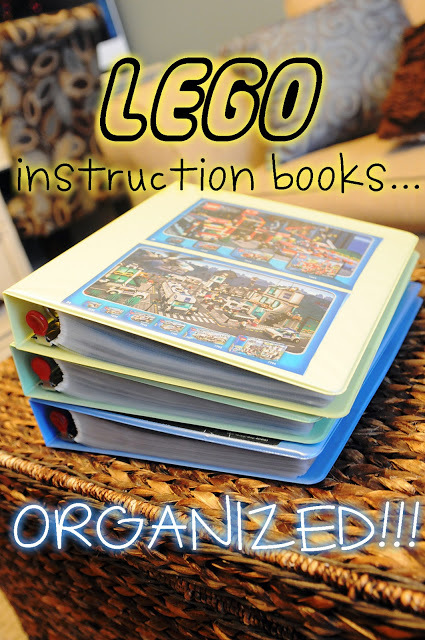 Lego instructions binder. 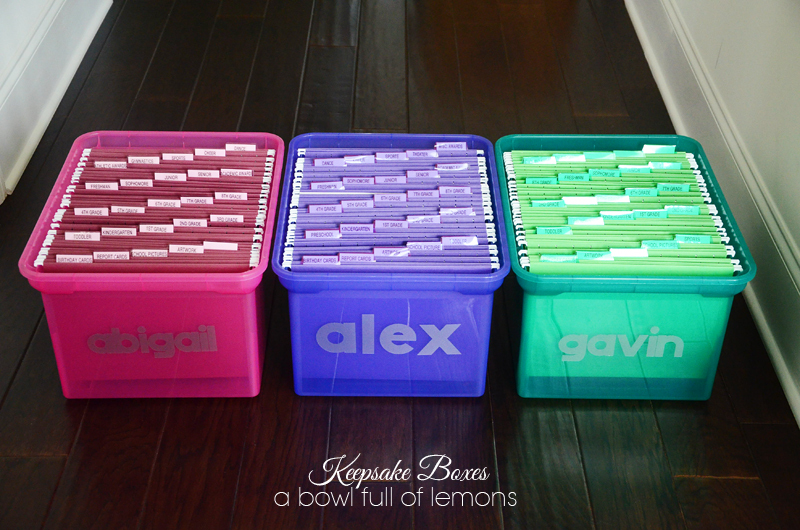 What a great and easy way to keep all of those little instruction inserts that come with Lego sets clean and organized! Get more details on how to make a binder HERE. 3. 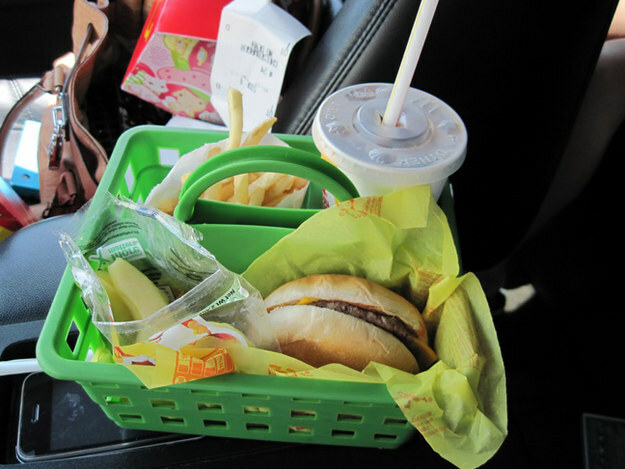 Carry-Out Caddy from Dollar store. I don’t know who came up with this idea but it’s fantastic for all of those times you are running around with school and extracurricular activities. You don’t even have to use them for fast-food. Just pack some food from home in a cooler and use the caddies to distribute it. 4. 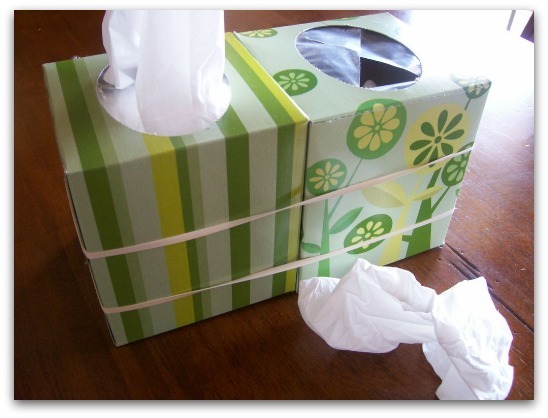 Tissue box with built in “trash can”: Everyone needs a set-up like this on their night stand during cold and flu season. What a great way to dispose of tissues without spreading germs. 5. Photo of bedroom after it’s clean. What a great idea this is. 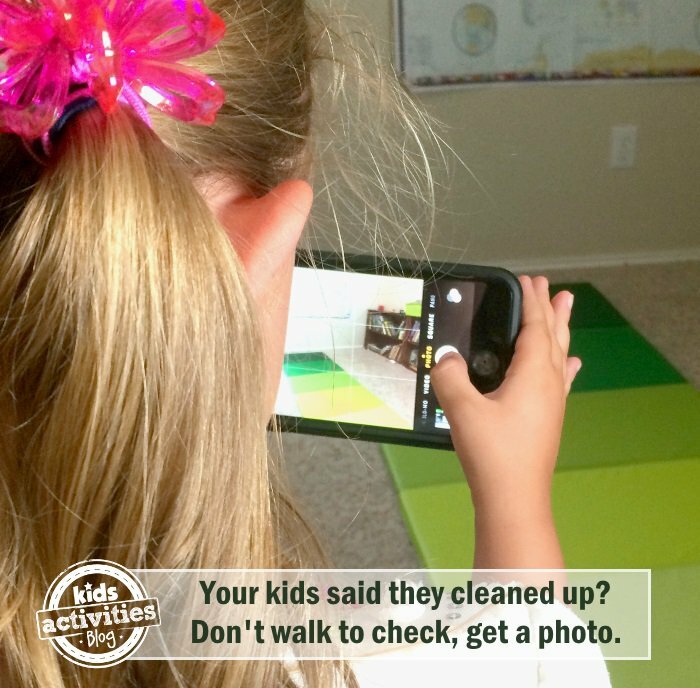 Rather than having you stop your work to check and see if your kids cleaned their bedrooms, have them take a photo and show you it’s done. This came from Kids Activities Blog. 6. Teach kids to pick up after themselves. 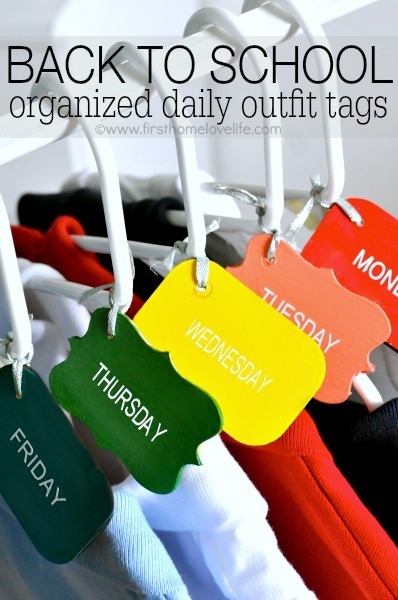 What a great idea from OrganizedMom.net. 7. Kids keepsakes in file boxes. 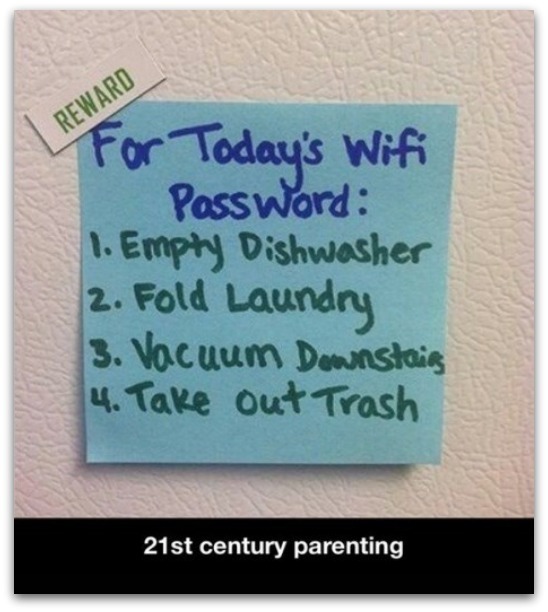 I have something similar for each of my kids. I organize it by year and I save their artwork, important birthday cards, award certificates, loose photos, and more. 8. Easy board game storage. This clever idea came from RaisingLemons.com. 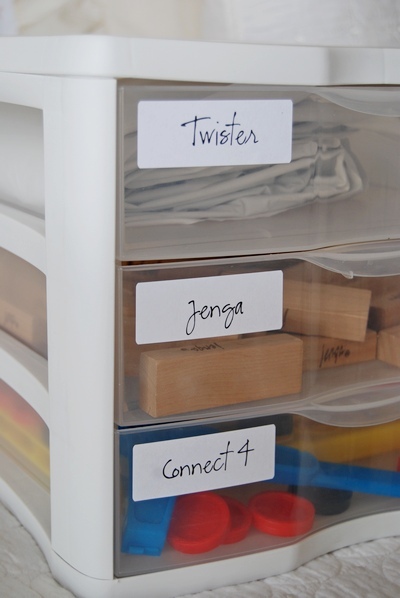 What a great way to keep all of the pieces together rather than in boxes that tend to fall apart. 9. Plan school outfits for the entire week. This can be done with your child or if they are old enough they can do this themselves. Basically a whole week’s worth of school clothes is planned on Sunday night rather than during the busy week. A lot less stress this way! Find out the details from firsthomelovelife.com. « Officially Starting My 21 Day Fix Challenge TODAY! Maybe I’m the only one with this problem, but we realized that our Kindergartener was going to be having 4(!) different people picking him up after school on various days. So I’m making cards that say something like “Today is Monday and my Grammie is picking me up” with Grammie’s photo. There’s one for each day of the week and I put them in a plastic ID card sleeve that I attach to his backpack with a carabiner. I made the cards in Word and printed them out on cardstock on a color laser printer.